Objectively, if you have bought the gas detector from the qualified manufacturer and the gas detector cannot be used or damages, it is usually caused by selection of an improper mode or improper use, apart from the quality problems. Case: After a client finishes onsite installation of the combustible gas detector, use the lighter to test whether the detector operates normally. Following the ventilation test, the detector gives an alarm but cannot return to zero. If the detector cannot yet be used after disconnection and re-start, the sensor is damaged and will be returned to the plant for paid change. Analysis: Many clients usually use the high-concentration gases for test upon acceptance. This is a method lacking precision and which can cause damage of the instrument. The test scope of the combustible gas detector ranges from 0 LET to 100% LEL. In other words, under the lower explosive limit (taking methane for example, which ranks 0 to 5% vol), the lighter's gas is the high-purity butane, which is far beyond the detection scope of the combustible gas detector. Conclusion: Do not test the combustible gas using the lighter outgassing. The gas detector should avoid the high-concentration impact. Detect the work state using the standard gas. This is the same to the toxic gas, but the high-concentration gas impact should be avoided. Case: The onsite gas of a client is the organic gas, such as benzene, methylbenzene, and xylene. After installing the combustible gas detector, the client finds that the value of the detector with benzene is zero. The client thinks this is a quality problem, but the manufacturer provides the third-party detection report to prove that the product has no quality problem. The two sides have disputes with each other. Analysis: Most combustible gas detectors on the market follow the catalytic combustion principle. The catalytic oxidation principle makes use of the combustible gas to generate the low-temperature non-flame combustion on catalytic performance detection elements. The combustion heat can lead to temperature rise of components. Finally, the resistance of components will increase. By detecting the resistance changes using Wheatstone bridge, we can detect the concentration of the combustible gases. As long as the gas gives out heat after combustion, it can be detected in principle. It is said that the catalytic combustion sensor can theoretically measure any combustible gas. However, the catalytic combustion sensor is not suitable to measure the long-chain alkane, such as gasoline, diesel and aromatic hydrocarbon with a high flash point. The carbon chain of components with more than five carbon atoms, such as benzene, methylbenzene, and xylene, particularly hydrocarbon compounds with a benzene ring structure, is relatively fixed and can hardly be broken under the catalytic combustion. As a result, complete combustion can be hardly ensured. The molecules which have not been completed combusted will gather on the surface of catalytic bears, thus forming “carbon deposition” and impeding combustion of other molecules. When the carbon deposition reaches certain degree, the combustible gases cannot have effective contact with catalytic beads. 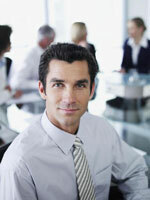 Consequently, detection sensitivity cannot be ensured, and no response will happen. This is decided by the intrinsic attributes of the sensor and belongs to the early-stage model selection mistake. Conclusion: Various organic and volatile gases, such as benzenes, alcohols, lipids and amines, are unsuitable to be detected by the catalytic combustion principle. The PID principle can be adopted for detection. Before purchasing the gas detector, we should consult with the product company to avoid similar mistakes. Case: A client installs the detector sensor in the pipeline on his own and measures the hydrogen sulfide online. After one week, the meter shows no response, and the detection results suggest that the sensor cannot work. Later, the sensor is changed, and cannot work again in two weeks. Analysis: The gas detector is designed to measure the gas concentration in the environment. Online measurement of the hydrogen sulfide concentration in the pipeline is to change the use environment. The hydrogen sulfide detector sensor follows the electrochemical principle, and its electrolyte consumption degree is positively correlated with the hydrogen sulfide concentration in the environment. The higher the content of sulfuretted hydrogen is, the faster the electrolyte consumption is, and the shorter the life span is. Under the normal environment, the hydrogen sulfide concentration is zero. The electrolyte consumption happens only at leakage, so the service life can reach one year to two years. There is hydrogen sulfide existing in the pipeline all the time and consumed by the electrolyte, which greatly shortens the natural life span. Conclusion: The gas detector is applicable to the environment detection. Before its application to pipeline online analysis, we should consult the manufacturer. Never arbitrarily change the environment. Case: A client purchased the portable four-in-one gas detector three years ago. During the period, different departments used it. Later, the detector was found to raise an alarm when it was started. The detector was returned to the plant for detection, finding that one of the four sensors could not work, and three errors exceeded 15% of the normal level. Analysis: The gas detector is a measurement instrument, and needs periodical calibration so as to ensure its detection accuracy. 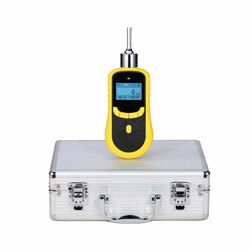 Any gas detector will experience drift if being used for a long time. Without timely calibration, the error will increase, causing safety loopholes. According to relevant regulations, the calibration period of the gas detector should not exceed one year for long, and not longer than three months for enterprises with the specialized measurement departments. Meanwhile, calibration of the gas detector must be operated by professionals.